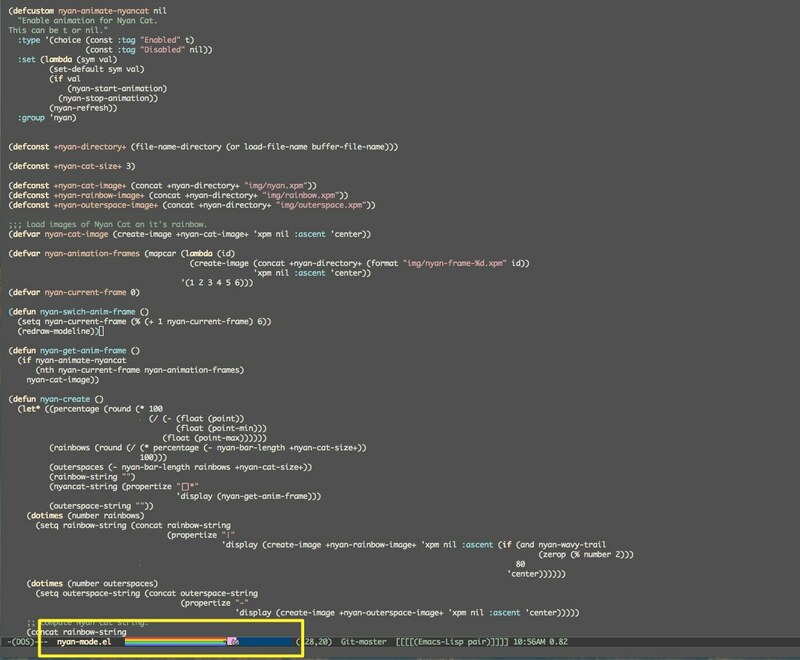 Nyan-mode uses the nyan cat to show your position within the Emacs buffer. This is so. Completely. Awesome. If you are behind on your memes, you can read all about nyan cat here.